You certainly must have some exercise to stay healthy. A fit, happy, healthy lifestyle benefits even from moderate physical activity. You don’t have to start weightlifting, running marathons and staying active for hours every day. The American Heart Association recommends 1.5 to 2.5 hours of physical activity every week as a part of a healthy lifestyle. That’s not much, and it doesn’t need to be more than moderately intense. Some researchers have pointed out that when you exceed 4 or 5 hours of intense exercise weekly, you might end up doing more harm than good. So remember to keep the right balance for you. Or a combination of those. It is easy to say, that you don’t have enough time to exercise during your week? But guess what? If you want to look and feel well, live a long life minimizing the health problems, and enjoying the optimal health, You need to change your habits. 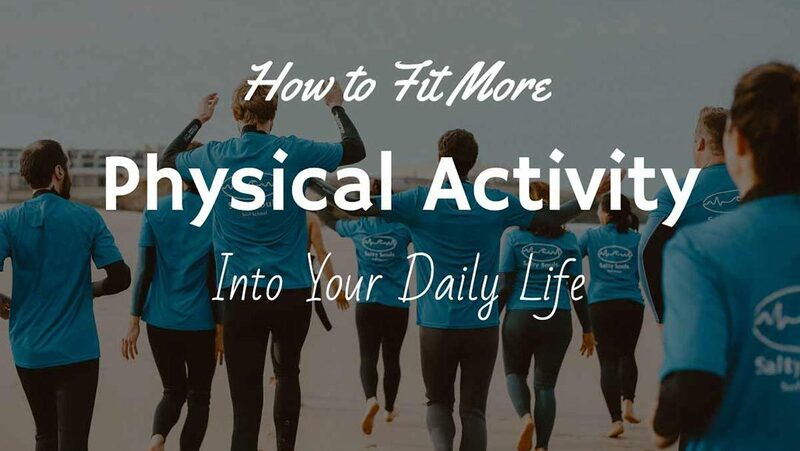 Working out, exercising and staying active have to become part of your daily life. So you just have to find the time. Making time and place in your weekly schedule for physical activity is not that hard as it may appear first. Sit down and draft out your entire week’s worth of exercises. Fit in 30 minutes of exercise 4 or 5 days a week. That shouldn’t be hard. If you start bodyweight training, just remember to rotate muscle groups from day to day. Don’t work out with the same muscles on back-to-back days. Remember to get plenty of sleep and rest, and make sure you drink enough water. Find those empty slots in your calendar, or make those slots available. You need time to work out, exercise and stay physically active, and not just sit on your desk. Remember, two 15-minute sessions of training equals the benefits of a one 30 minute session. If you have time at the lunch break, 10 to 30 minutes of it can be committed to some kind of physical movement. Or you can just wake up 30 minutes earlier to get your daily routine started powerfully. Selecting a healthy lifestyle is all about choice. You need to prioritize practicing, working out and staying physically active. When you understand that it is important to you, you make a deliberate decision to be healthy. What about if there is no time? What about if you manage to convince yourself that there is no way to allow any time to physical exercises each week? Then the reality that you choose is different. Time to say goodbye to enjoying a healthier, fitter, fuller lifestyle. That also means the risk of health problems, low self-esteem, anxiety, and stress. Those are the typical problems that follow an inactive lifestyle. At worst, bad habits might be killing you, and at least, they are causing you stress. If you suffer from the effects of poor nutrition in your diet, this is a bad habit you should change immediately – but gradually. Another typical bad habit is overworking. Dedication to your job is praiseworthy and might be an important survival tactic in many cases. When you make enough money from your post, you can have a decent life with your family. But if you spend too much time at work, typically your sleep and diet suffer, and along the ride, you get stress and poor health. Try to make physical activity a high priority in your life. Finding time to stay physically active even in your busy life can pay huge, real returns.